True’s Comment: In a sort of roundabout, unintentional way, the Editorial Board has made a good argument against Measure 91. It is about the “kids.” It really is. It’s about our children and our grandchildren. Most of us don’t much give a damn about what adults inhale or drink or inject in their veins. Except that when those adults get in trouble, the taxpayers always have to foot the bill. Of course, we nonsmokers, non-inhalers, and non-injectors will have to be especially cautious when we drive. Make sure you buckle-up. And, the moderns who bought small cars to conserve fuel may want to reconsider the possibility of being hit head-on by a driver, under the influence of yet another legal intoxicant, in his 4X4 truck. But, the part of this argument by the Oregonian that really got me was the last sentence. “There is no bong Breathalyzer.” Bong? Was that supposed to be funny, a joke? Or was that the Editorial Board’s attempt to show they know the ‘street’ terminology? I didn't think it was funny. I thought it was stupid. I was glancing through today’s Oregonian (Portland’s major newspaper) and the Editorial Board has issued another ‘pick for the November 2014 election.’ This particular editorial, however, covers a subject matter that pertains to Lake Oswego voters and an issue which I know little or nothing about. But, and I’ll be darned, the Editorial Board has decided to start identifying themselves. I wonder if they read my previous blog post. And, who are these esteemed and very knowledgeable individuals? They are N. Christian Anderson III, Mark Hester, Len Reed and Erik Lukens. Well, I googled them. Interesting. Nonetheless, what I found does not explain why their editorial on Legalized Recreational Marijuana appears to have been written by an eighteen-year-old, first year journalism student. Could there be a young, ambitious ghost writer involved? N. Christian Anderson III: He is Chris Anderson, the Oregonian’s publisher. His entire career has been in the newspaper business. Before coming to the Oregonian, he was a consultant for media companies and, prior to that, the publisher and CEO of the Orange County Register. Reportedly, he was raised in Heppner, Oregon where he delivered the Oregonian newspaper as a boy? OK, sounds like a nice guy, but probably too busy to read and approve, much less research and write, the editorial on legalized marijuana. Although, of course, he may have offered his off-the-cuff personal opinion; which would have held considerable sway with his subordinates. Mark Hester: Mark is an Associate Editor for the Oregonian – started with the Oregonian in 1996, Business Editor until 2005 when he became the Sports Editor. Entire career in journalism. Grew up in the South, BA from Mississippi College and an MBA from University of Texas. Previously, he worked for the Spokesman-Review in Spokane. Len Reed: Len is an Associate Editor – joined the Editorial Board in 2010. He writes on the environment, energy, education, science and culture subjects. He was formerly with the Los Angeles Times. He is a graduate of Trinity College in Connecticut, and is a former John S. Knight Fellow at Stamford (I’m not sure what that is, but sounds impressive). Well, so now we know. These are the gentlemen who advise you on how to vote on the question of legalized recreational marijuana. Are you OK with that? That said, in addition to my previous stated background, I, too, have a dog. And, Watson happens to agree with me about the marijuana issue. To be continued… but not tomorrow. Tomorrow is a special day for me. I would like to address each of The Oregonian’s (Portland’s major newspaper) comments in support of the legalization of recreational marijuana (Measure 91); and I will. But first, you must understand that the majority of voters in the Portland Metro area will vote for legalization. Why? It’s their nature. What more can I say? The Oregonian’s Editorial Board simply reinforced that public inclination. Portland residents, many of them, not all, take pride in their community’s outlier status. You even see bumper stickers like: KEEP PORTLAND WEIRD. OK, that’s kind of cute and harmless I suppose, but it makes it difficult to enter into a serious discussion with these folks. Which may explain The Oregonian’s superficial discussion of Measure 91. Furthermore, many in Oregon, tend to take their lead from California and Washington. It’s kind of an inter-state inferiority complex. We don’t want to be considered backward. This may not matter for many members of this State, but marijuana is still illegal under federal law. Even if you don’t actually use it, sending it through the mail is a federal offense. The bottom line here is that this is no way to make law. How is the typical citizen supposed to understand or respect the law when our governing bodies can’t agree? More importantly, The Oregonian’s position is irresponsible in recommending such a conflicting law. OK, what have I been thinking about? Well, today, and yesterday, I’ve been thinking about marijuana. 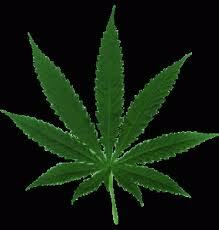 Legalized marijuana is going to be on the Oregon ballot very soon; and indications are that it will pass quite easily. I’m sorry to hear that because I think it’s a bad idea – a very bad idea. And, I think the public is misinformed about marijuana and the inevitable downside, particularly for children and young adults. Why should you care what I think? I’m not sure. But, I’d like you to give me a chance to convince you. Who am I to doubt the combined wisdom of the Oregonian’s Editorial Board? Whoever the Editorial Board is. They don’t seem to identify themselves. You might ask, what is their combined life experience? What makes them experts? Do they have self-serving reasons for their editorial position? Do they now smoke marijuana? Have they in the past? Perhaps more accurately, the economist, Edward Glasser once opined that individuals, like make up the editorial boards, are “entrepreneurs of error.” What does that mean? Principally, he is referring to business leaders who furnish opinions when it will increase their own financial returns. The Oregonian’s Editorial Board is, after all, representing a business that hopes to make a profit. They realize that the majority of their constituents in the Portland Metro area will vote for the legalization of marijuana – so, hell, why not give them what they want? I must say that the Oregonian’s reasoning, in defense of their opinion on marijuana, was a little weak. However, it did cause me to think about it. What was their reasoning? Now, I’d like to give you some of my thoughts. First, as a matter of full disclosure: I have a modest educational background (a Masters in Public Administration). Sorry, no degree in journalism or any Ivy League background. I’ve worked in local and Federal law enforcement. And, I’ve worked in the corporate sector for many years as a Security Manager. A considerable part of that corporate security work involved illegal drugs in the workplace environment. PS: I’ve never smoked marijuana or used any other illegal drug. And, I have no financial interest in whether or not Measure 91 should pass. 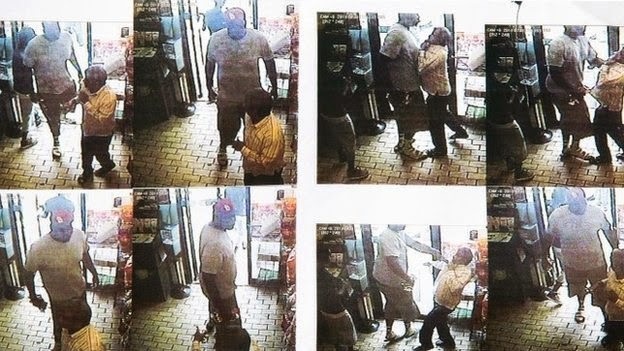 I don’t often do this; but I’d like you to read the following ‘open letter.’ As yet, we don’t know the exact circumstances involving the shooting death of Michael Brown. We should withhold final judgment. However, after all the nonsense circulated in the media, maybe we should hear some plain old commonsense from an experienced police officer. You may not agree with what he has to say; but I do. "I have to call you out. There was no need to release it, Johnson said calling the reported theft and the killing entirely different events. 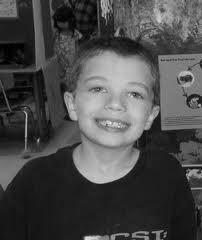 Kyron Horman / Should Terri Horman be Charged? Or an Apology? I believe the four idiots she/he is referring to are the four women who testified at the hearing regarding the proposed name change. I’m doubtful that their testimony had any particular influence on the Judge’s final decision to deny Terri Horman’s request for a name change. I don’t know, but do not believe that any of the four women held any official capacity or possessed pertinent information other than what has been published in the media. In fact, unsubstantiated vitriol may have actually worked in Terri’s favor. Regarding DD’s cousin, I’m not sure what Anonymous is referring to; but realize that some of you have followed this case more closely than I have. Regarding the law enforcement investigation, the apparent lack of progress, and the inability to even characterize someone as an official suspect, it has frustrated all of us. Why is this? My belief is that the high profile nature of this case, the retaining of prominent, high-powered defense representation, the miscues by investigative organizations early on; and a lackluster, professionally insecure prosecutive staff have paralyzed any progress. At this point, the only thing that will move this case along is the discovery of Kyron (presumably dead at this point), or a major reorganization at the Multnomah County Prosecutor’s Office. I tend to agree with Anonymous in some sense. Terri Horman, after all that has been said and done, should be charged with something. I can’t say what crime exactly, because I have not seen what evidence is available. BUT… If there has been absolutely no prima facie violation, no indictable crime committed in any respect; well, I think Terri deserves some sort of official apology. Will the public forget? Yes. 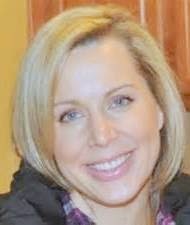 In a recent Oregonian article (byline Maxine Bernstein), August 15th, it was reported that Terri Horman, Kyron’s Step-Mother, an unofficial person of interest in Kyron’s disappearance, had requested a Douglas County Court to change her name. Terri Horman testified that she wanted to remove the “stigma” associated with the Horman name. Reportedly, four women witnesses testified against the name change. The four women were not identified. As most of us recall, seven-year-old Kyron disappeared from a Portland public grade school four years ago. There has been no trace of the child since that day. This might not have been the type of reasoning a judge wanted to hear from a supposedly grieving parent of a missing child. I do think the circumstances surrounding the death of Jennifer Huston, resident of Dundee, Oregon, are very odd – at least based on what we know so far. There are three possibilities or potential causative factors that might have led to her death: natural causes, suicide, or homicide. Natural Causes: Highly unlikely, in my opinion. If someone is gravely Ill, and reportedly she had been having headaches, that person would travel toward medical help; not drive out in a desolate part of rural Oregon. Suicide: Perhaps, but why bother with driving to such a remote area? We don’t know the cause of death. If she shot herself, I suppose it’s conceivable that someone might seek-out a remote location. If she took a fatal dose of pills, or ended her life in some less violent manner, again there would be no need to seek a remote location where your body might not be discovered for an extended period of time. And, of course, the unanswerable question: Why would such a lovely, young woman with two small children do such a thing? Was she terminally ill? Doubtful. Her husband would have known that information. And, was there a note left behind? Homicide: Based on initial reports, that seemed the most likely circumstance. Thankfully, I guess we might say, that was not the case. Sometimes there are just no answers. The one person who knows the answer is gone. And, sometimes even that person could not explain, what might have been to her, the unexplainable.